• TAME 2018 is not a contest. 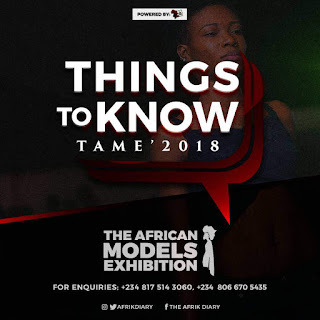 Just as the name implies The African Model Exhibition TAME is a platform to present/Showcase competent and potential models to interested clients like brand Managers, Marketing managers and the likes to project their brand. • TAME 2018 is not a fashion show. 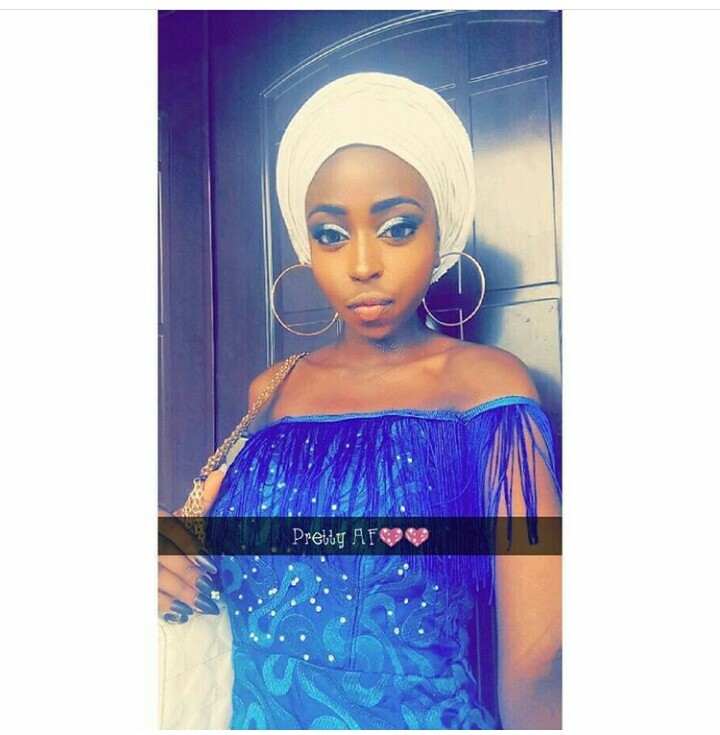 It is only a platform where Fashion Designers, Make up Artist and the likes can exhibit their products due to the MASSIVE networking platform the event provides. • TAME 2018 is not a Beauty Pageant! It is only a platform where the beauty of African models is celebrated and given the opportunity to network with prospective clients. 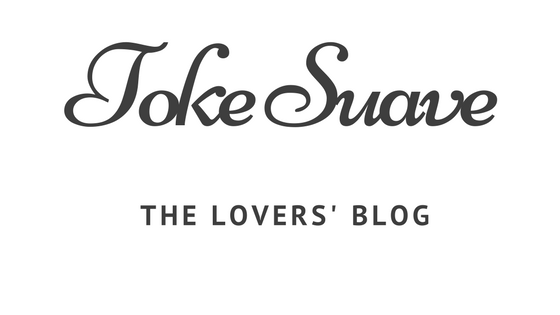 • Participants will be camped for 5 days for photoshoots, Endorsement Meetings with Potential Clients, Mentorship session with Celebrities and lot more. 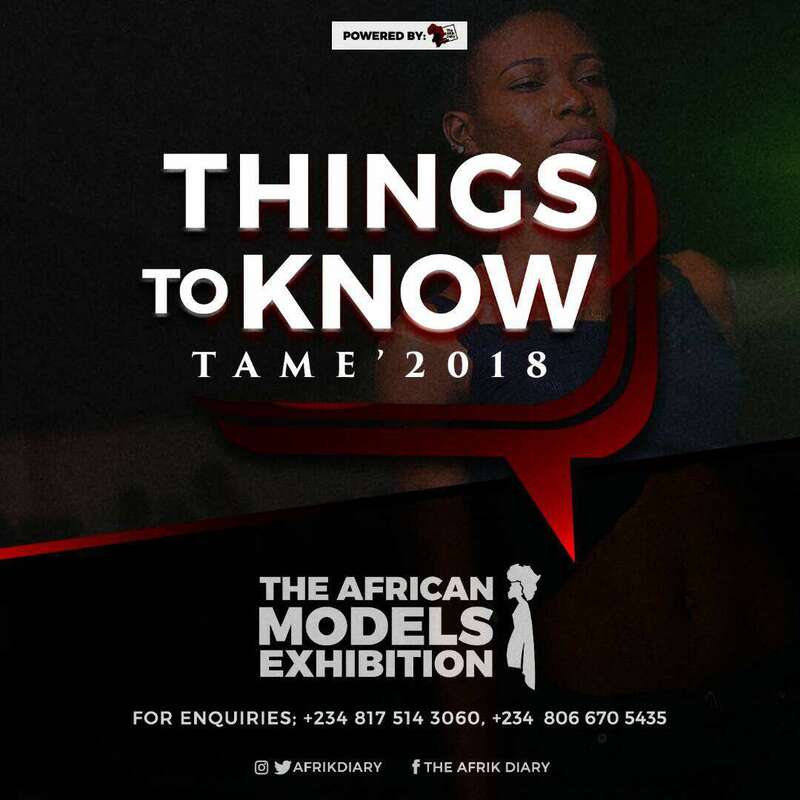 • The 7 African countries participating at TAME 2018 event are: Ghana, Togo, Benin Republic, Nigeria, Cameroon, Ivory Coast, Zimbabwe. Be A part of TAME 2018 and enjoy so many benefits the platform provides! Registration still opens to MODELS, FASHION DESIGNERS, MAKE UP ARTIST, VISUAL ARTIST, PHOTOGRAPHERS and such like. For inquiries call: +2348175143060, +2347057678328.